Presentation about our Pitch-an-Idea grant project in which we worked with Internet Archive to provide links in the Santa Clara County Library District catalog to freely available, out of copyright ebook files which patrons could download without leaving the catalog. Information about the project, where to access our code repository, and how to get started is available at https://foss4lib.org/package/openlibrary-utilities-sccld. 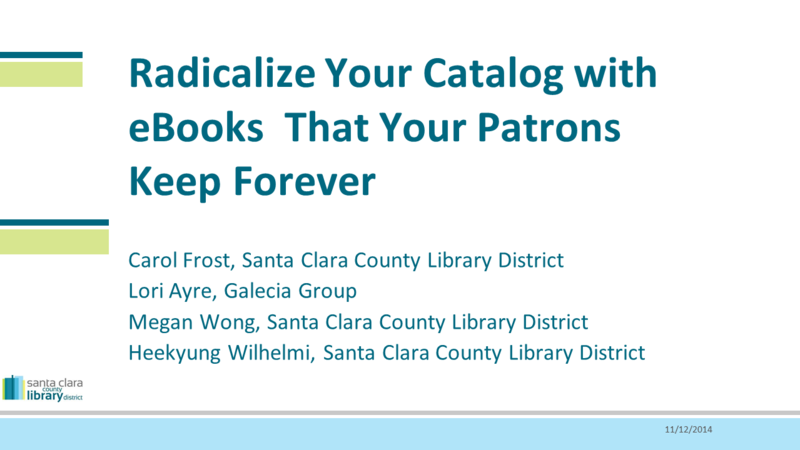 Slides with presenter notes are available at https://www.slideshare.net/loriayre/radicalize-your-library-catalog-with-ebooks-your-patrons-can-keep-forever.